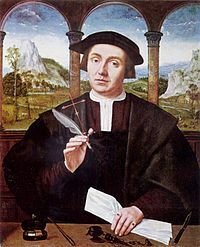 16th-century painting of a civil law notary, by Flemish painter Quentin Massys. A civil law notary is roughly analogous to a common law solicitor, except that, unlike solicitors, civil law notaries do not practice litigation. The legal profession has its origins in ancient Greece and Rome. Although in Greece it was forbidden to take payment for pleading the cause of another, the rule was widely flouted. After the time of Claudius, lawyers (iuris consulti) could practise openly, although their remuneration was limited. A skilled and regulated profession developed gradually during the late Roman Empire and the Byzantine Empire: advocates acquired more status, and a separate class of notaries (tabelliones) appeared. In Western Europe, the legal profession went into decline during the Dark Ages, re-emerging during the 12th and 13th centuries in the form of experts on canon law. The profession started to be regulated and to extend its reach to civil as well as ecclesiastical law. The ban on fees was abolished by Emperor Claudius, who legalized advocacy as a profession and allowed the Roman advocates to become the first lawyers who could practice openly—but he also imposed a fee ceiling of 10,000 sesterces. This was apparently not much money; the Satires of Juvenal complain that there was no money in working as an advocate. Like their Greek contemporaries, early Roman advocates were trained in rhetoric, not law, and the judges before whom they argued were also not law-trained. But very early on, unlike Athens, Rome developed a class of specialists who were learned in the law, known as jurisconsults (iuris consulti). Jurisconsults were wealthy amateurs who dabbled in law as an intellectual hobby. Advocates and ordinary people also went to jurisconsults for legal opinions. Thus, the Romans were the first to have a class of people who spent their days thinking about legal problems, and this is why their law became so "precise, detailed, and technical." In the words of Fritz Schulz, "by the fourth century things had changed in the eastern Empire: advocates now were really lawyers." For example, by the fourth century, advocates had to be enrolled on the bar of a court to argue before it, they could only be attached to one court at a time, and there were restrictions (which came and went depending upon who was emperor) on how many advocates could be enrolled at a particular court. By the 380s, advocates were studying law in addition to rhetoric (thus reducing the need for a separate class of jurisconsults); in 460, Emperor Leo imposed a requirement that new advocates seeking admission had to produce testimonials from their teachers; and by the sixth century, a regular course of legal study lasting about four years was required for admission. Claudius's fee ceiling lasted all the way into the Byzantine period, though by then it was measured at 100 solidi. Of course, it was widely evaded, either through demands for maintenance and expenses or a sub rosa barter transaction. The latter was cause for disbarment. The notaries (tabelliones) appeared in the late Roman Empire. Like their modern-day descendants, the civil law notaries, they were responsible for drafting wills, conveyances, and contracts. They were ubiquitous and most villages had one. In Roman times, notaries were widely considered to be inferior to advocates and jurisconsults. Roman notaries were not law-trained; they were often barely literate, with an unfavorable reputation for wrapping simple transactions in mountains of legal jargon, since they were paid by the line. After the fall of the western Empire and the onset of the Dark Ages, the legal profession of Western Europe collapsed. As James Brundage has explained: "[by 1140], no one in Western Europe could properly be described as a professional lawyer or a professional canonist in anything like the modern sense of the term 'professional.' " However, from 1150 onward, a small but increasing number of men became experts in canon law but only in furtherance of other occupational goals, such as serving the Roman Catholic Church as priests. From 1190 to 1230, however, there was a crucial shift in which some men began to practice canon law as a lifelong profession in itself. The legal profession's return was marked by the renewed efforts of church and state to regulate it. In 1231 two French councils mandated that lawyers had to swear an oath of admission before practicing before the bishop's courts in their regions, and a similar oath was promulgated by the papal legate in London in 1237. During the same decade, Frederick II, the emperor of the Kingdom of Sicily, imposed a similar oath in his civil courts. By 1250 the nucleus of a new legal profession had clearly formed. The new trend towards professionalization culminated in a controversial proposal at the Second Council of Lyon in 1275 that all ecclesiastical courts should require an oath of admission. Although not adopted by the council, it was highly influential in many such courts throughout Europe. 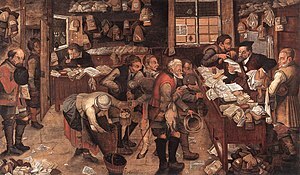 The civil courts in England also joined the trend towards professionalization; in 1275 a statute was enacted that prescribed punishment for professional lawyers guilty of deceit, and in 1280 the mayor's court of the city of London promulgated regulations concerning admission procedures, including the administering of an oath. ^ a b c Crook, 88. ^ a b c Jones, 515. Chroust, Anton-Hermann. "The beginning, flourishing and decline of the inns of court: The consolidation of the English legal profession after 1400." Vanderbilt Law Review 10 (1956): 79+. This page was last edited on 23 March 2019, at 16:49 (UTC).